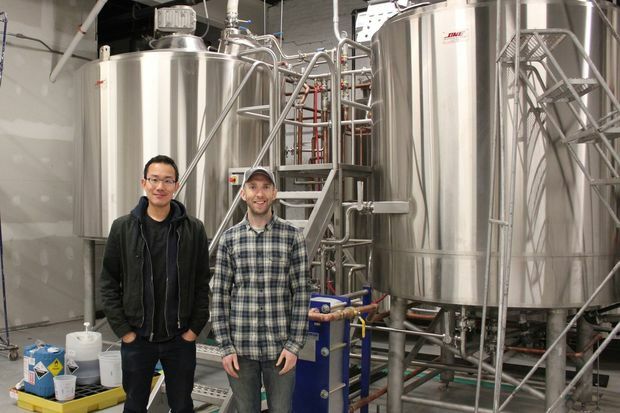 QUEENS — Breweries are booming in Queens. Just a few years ago the borough didn't have any, but now Queens is bursting at the seams with brewers attracted to the area's cheaper rents and more available space than elsewhere in the city. Queens Brewery, which started production upstate in 2013, just announced plans to move to a new space in Ridgewood later this year — making it the seventh brewery to hit the borough in recent years. The breweries all cropped up in the past three years, mostly clustered in Long Island City and Astoria and around Ridgewood and Glendale. In 2012, three breweries opened in Queens, each varying in size and production. SingleCut Beersmiths, a brewery based in Astoria that mainly focuses on lagers and IPAs, is one of the larger breweries, and includes taprooms and communal tables. Bridge and Tunnel Brewery still makes its beer out of a tiny garage in Maspeth, although it plans to expand into a larger space in Ridgewood by this summer, the owner said. Rockaway Brewing Company, in Long Island City, started selling its beers in Rockaway beach before it eventually expanded distribution to bars around the city. The brewery boom will only continue to grow, according to beer experts. For instance, Queens Brewery has been producing its beers from a borrowed space in Saratoga Springs since 2013, but it's launching its own brewery on Covert Street in Ridgewood by September. It's also planning to eventually feature a beer garden, the owner said. "In the next few years, we should see even more breweries," said Joshua Bernstein, author of “Brewed Awakening” and "The Complete Beer Course." The borough is attracting brewers with affordable real estate prices and because “there are still a lot more available spaces ... in Queens [than in Brooklyn and Manhattan]," Bernstein said. Brewers are also tapping into the growing interest in craft beers among consumers, he said. Brewing knowledge, equipment and ingredients have also become much more accessible in recent years — inspiring beer lovers to produce at home, and maybe moving on to producing on a larger scale, Bernstein said. Bridge and Tunnel Brewery's founder Rich Castagna, 42, is one success story. Castagna brewed at home for nearly a decade before he decided to expand production and moved his operation into his 150-foot garage. Now, Castagna produces 25 different brews, and is working on construction of a 2,300-square-foot brewery, including a taproom with farmhouse tables, he said. He hopes the facility will be ready open in time for summer. The new brewery, on Decatur Street, will be located only two blocks away from the new Queens Brewery, Castagna said. “It’s coming from the heart,” he said about his passion for beer and brewing. Before Prohibition in the 1920s, Queens was home to several breweries, mostly operating out of Ridgewood and College Point. After Prohibition, which lasted until 1933, Burke Brewery opened in Long Island City and produced its own beer and later Guinness until 1954. Today, the borough is embracing breweries again. Last year, the borough held its first Queens Beer Week event, which showcased local breweries and featured a brewery crawl in Long Island City, where Rockaway Brewing Company, Big Alice Brewing and Transmitter Brewing are located within walking distance of each other. Glendale-based Finback Brewery, which features a tasting room, released its first beers, including Darkly Chocolate stout, last year. Transmitter — a "nano-brewery" that opened in 2014 and specializes in French and Belgian-style farmhouse ales — recently kicked off a six-month brewery program, where participants can buy shares of the business in exchange for beer, “Transmitter” glasses and T-shirts. Big Alice Brewing held a similar program in the summer of 2013. The small brewery opened in 2013 and is known for using quirky ingredients like purple potato and peppercorns. “That’s kind of a very healthy evolving beer scene,” Bernstein said.